Walsall Padlock 2000 ANTI-PICK has a 5 Lever Mechanism. BS EN 1670 corrosion resistance - Grade 3. Sold Secure. 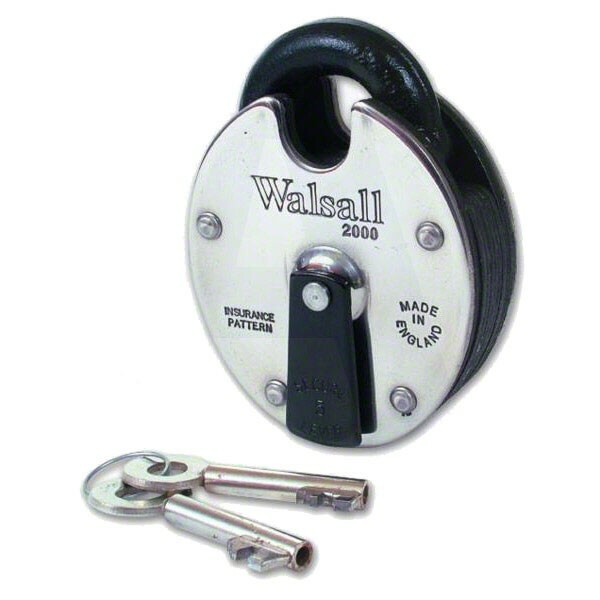 Conforms to BS EN 12320: 2001 Padlock & Padlock Fittings Security Grade 3. Anti-pick features, keyhole protector. Locked and unlocked by key. Stainless Steel Finish.